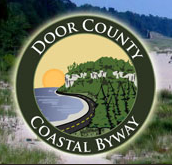 In 1829, citizens of the Green Bay area petitioned Congress to build a road to Chicago. Following an ancient Indian trail, the military road to connect Fort Howard at Green Bay with Fort Dearborn at Chicago was surveyed by the U.S. War Department in 1835. 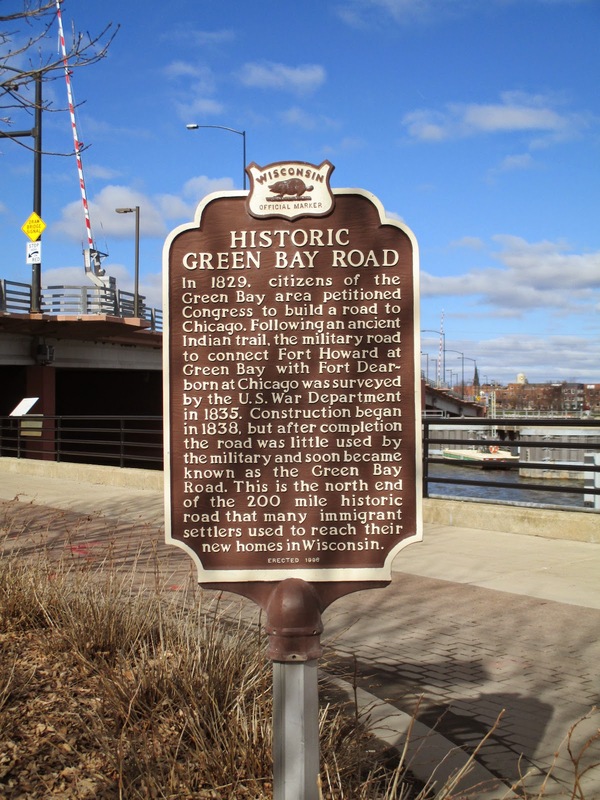 Construction began in 1838, but after completion the road was little used by the military and soon became known as the Green Bay Road. This is the north end of the 200 mile historic road that many immigrant settlers used to reach their new homes in Wisconsin. The marker is located on the east bank of the Fox River on the Fox River Trail, behind the Clarion Hotel. To access the marker, park at the Clarion Hotel parking that is next to Main Street / U.S. 141. Access the parking lot off North Adams Street, just north of its intersection with Main Street / U.S. 141. Once inside the parking lot, drive west towards the Fox River. The end of the parking lot is within steps of the marker location (see photo below). NOTE: The marker can be tricky to locate. The GPS coordinates will take you to the marker's exact location. Check the Google Map before you go. View from Clarion Hotel parking lot. A view of the Fox River trail, and the Clarion Hotel parking lot.